Athens is the capital of Greece and one of the oldest cities in the world, and is sometimes referred to as the cradle of Western civilization. The arts and philosophy thrived here, it is steeped in culture and ancient history, and its landscape is dominated by the stunning Acropolis. 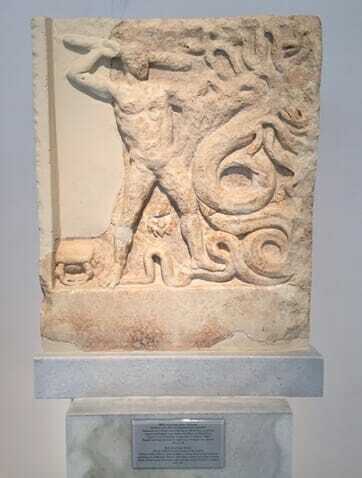 Like most things in Greece, there is a tale behind how the city got its name and the myth goes something like this: the city was prosperous and beautiful, but did not have a patron god that it paid tribute to. Athena, goddess of wisdom, and Poseidon, god of the sea, both contended for the title by offering a gift to the citizens; Athena gifted an olive tree and Poseidon offered a salt water spring. The citizens chose to accept the olive tree and so the city was named after Athena. 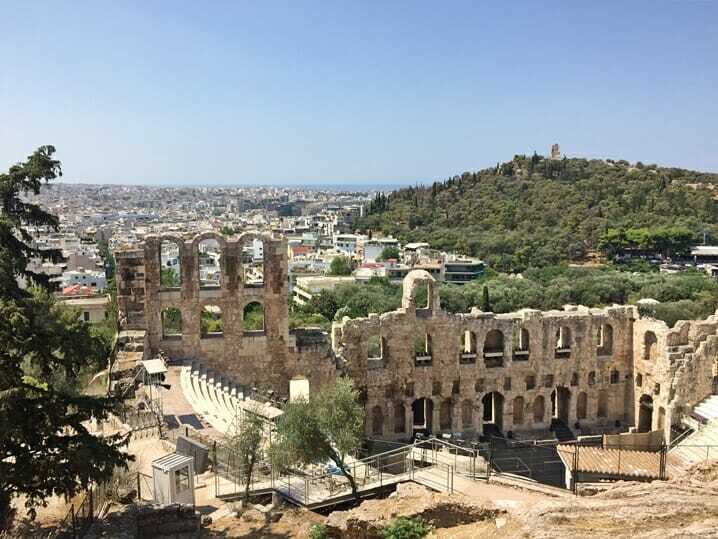 We knew that a trip to Greece wouldn’t be complete without exploring the city of Athens, so it was our first stop in Greece before heading onward to Olympia, Meteora and Delphi. Because of my obsession with Greek mythology, I had always dreamed of standing in front of the Parthenon, wandering through the National Archaeology Museum and admiring the Olympieio. During our short 48 hours in Athens, I went HAM reciting Greek mythology tidbits to my extremely patient boyfriend who had to listen to me ramble on and on about the 12 labors of Herakles, Aphrodite’s saucy affair with Ares behind Hephaestus’ back, crazy Dionysus-worshipping maenads and other tantalizing tales. I don’t regret it for a minute! If you get a chance to spend a few days in Athens, make it happen! 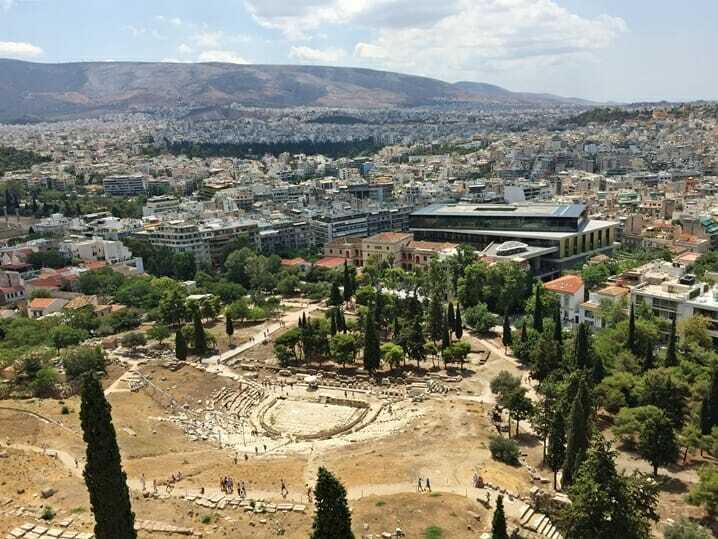 Read on for what you have to see if you only have 2 days in Athens. Check out my Mainland Greece road trip itinerary here so you can see Athens, Meteora, Delphi and Olympia in under 1 week! The best time to visit is in late spring or autumn when the crowds are less hectic. The crowds are at its worst during July and August – however, we were there in mid-July and while it was sweltering hot, it was still manageable (although it did feel like the entire population of Europe was at the Acropolis with us). Most airlines fly into Athens International Airport, and from the airport you have a multitude of ways to get into the city. You can take the metro, buses or a taxi, but make sure you do a quick check to see if there are any metro strikes during your trip. We took the X95 express bus from the arrivals level to Syntagma Square and the journey took about an hour. These buses get packed during the peak season so make sure you position yourself in front of one of the doors – don’t expect orderly queues! We actually opted to wait for the next bus so that we could get seats. Once you are in the city, it is easy to get around on foot or by metro/bus. If you plan to take public transportation you can look into getting a 3 day pass (which includes your fare to/from the airport) or 5 day pass (which does not include airport transportation). More information on transportation here. Interested in day trips from Athens? Check out Meteora or Delphi! A for Athens Hotel + Bar: If you’re after the best boutique hotel in Athens then look no further than centrally-located A for Athens. The room was enormous for European standards and bright & airy, the staff are incredibly helpful and did I mention that this was the view from our room? Yes – that’s an unobstructed view of the Acropolis! The hotel also has the best rooftop bar in Athens but make sure you book a table because it is a popular sunset spot. 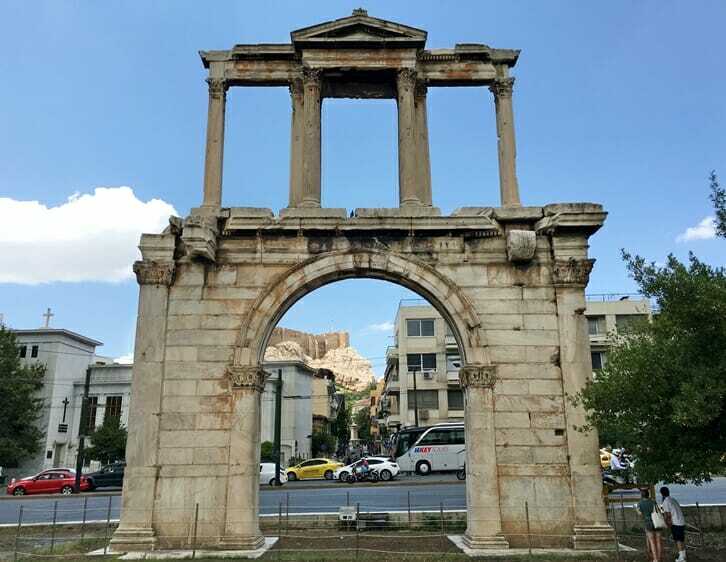 A for Athens was the perfect base for us to explore all the historic and archaeological sites in the city, I just wish we could have stayed longer. Click here to book your stay at A for Athens Hotel! Athens is a wonderful city to explore for history and culture buffs. 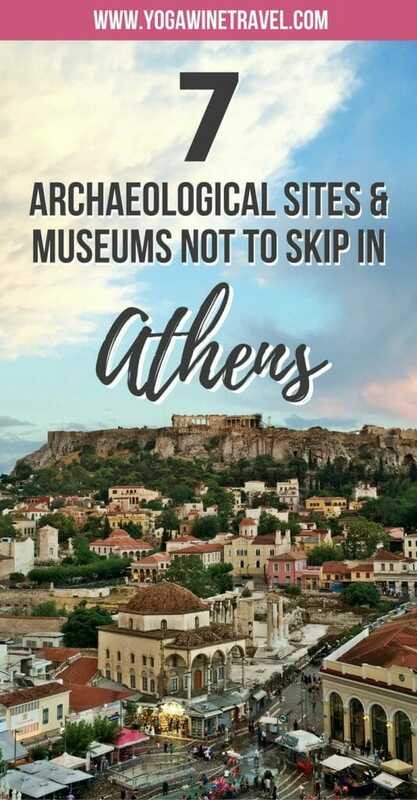 Read on for some of the best things to see and places to visit in Athens! An “Acropolis” is a sanctuary or complex built high up on a mountain or hill, and the Acropolis of Athens is undoubtedly one of the most famous attractions in Athens. Because of its elevation the Acropolis is one of the best photo spots in Athens and offers panoramic views across the city. When you visit the Acropolis, you actually get to see half a dozen or so sites within the complex: the Propylaea (the entrance to the site), the Theatre of Dionysos, the Odeion of Herodes Atticus, the Erechtheion, the Temple of Athena Nike and of course, the Parthenon. The iconic Parthenon is dedicated to the city’s patron goddess, Athena, and has survived fires, an explosion, earthquakes and lootings – it was still undergoing decades-long restoration when we were there last summer. Did you know that over the centuries the Parthenon has been a temple, a Christian church and an Islamic mosque? 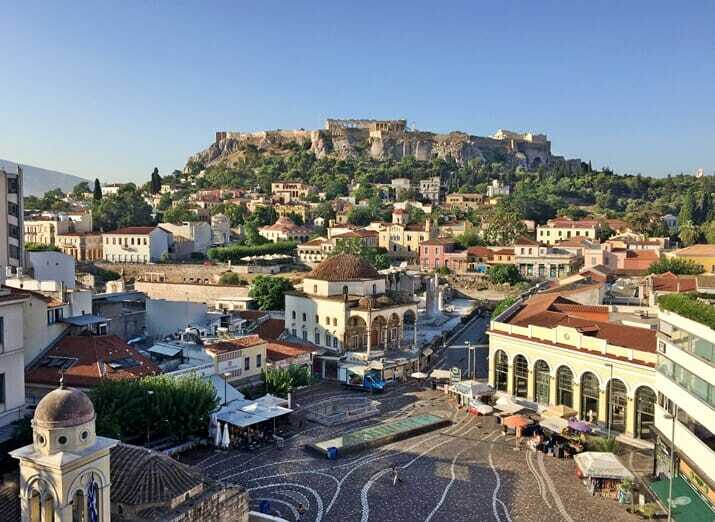 The Acropolis can be reached from Monastiraki Square. Follow the footpath to the left of the train station, past Hadrian’s Library and head up the stairs. You will reach the main ticket booth in about 5 minutes’ time. Purchase a special ticket (€30 for adults, €15 for children) that will grant you access to multiple sites including a few of the ones I have listed below. You’ll get more bang for your buck as 1) the special ticket is valid for 5 days, and 2) the cheaper ticket will only grant you access to the Acropolis and its slopes. If the queue is unbearable, you can purchase the unified ticket at one of the other sites. The special ticket will get you into these sites: Acropolis of Athens, Ancient Agora, Archaeological Museum of Kerameikos, Archaeological Site of Lykeion, Hadrian’s Library, Kerameikos, Museum of the Ancient Agora, north/south slopes of the Acropolis, Olympieio (Temple of Zeus) and the Roman Agora. Give yourself a minimum of 2-3 hours to wander around the entire Acropolis complex. The Acropolis is open from 8 am to 5 pm (last admission at 4:30 pm), closed certain days of the year. 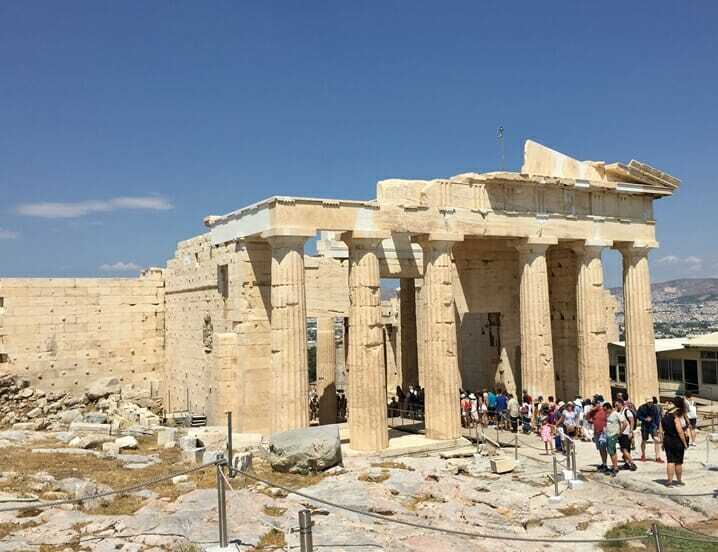 Because it is a popular tourist attraction in Athens, the best time to visit the Acropolis is first thing in the morning or late in the afternoon to avoid the crowds. 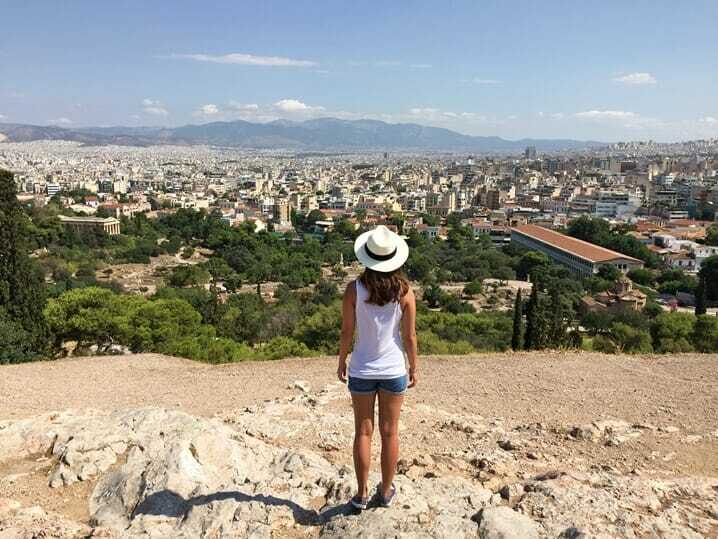 Photography tip: Looking for one of the best viewpoints in Athens? Head to the Areopagus Rock on the way up to the Acropolis site for amazing views across the city! The Acropolis Museum houses more than 4,000 finds from the archaeological excavation such as pediments, statues, votives as well as objects that Athenians used in everyday life. The ultra-minimalistic architecture of the museum creates a bright and airy exhibition space spread over a few different levels, and there is also a spacious cafe if you need a cup of joe and rest your feet. 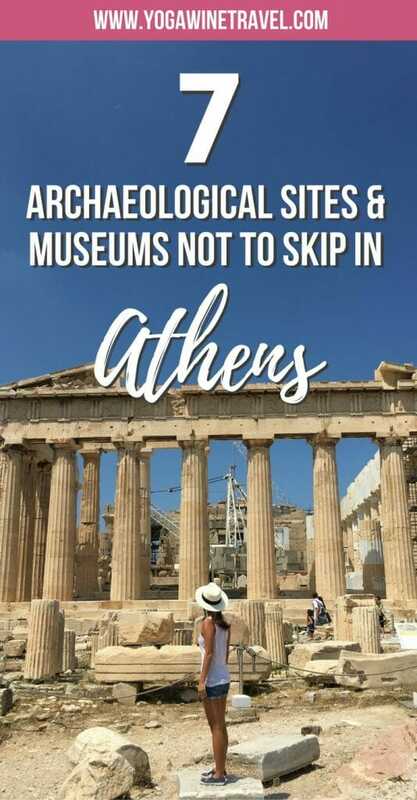 It is about 300 meters away from the Acropolis and even has in-house archaeologists scattered around the museum for you to ask questions about the exhibits. 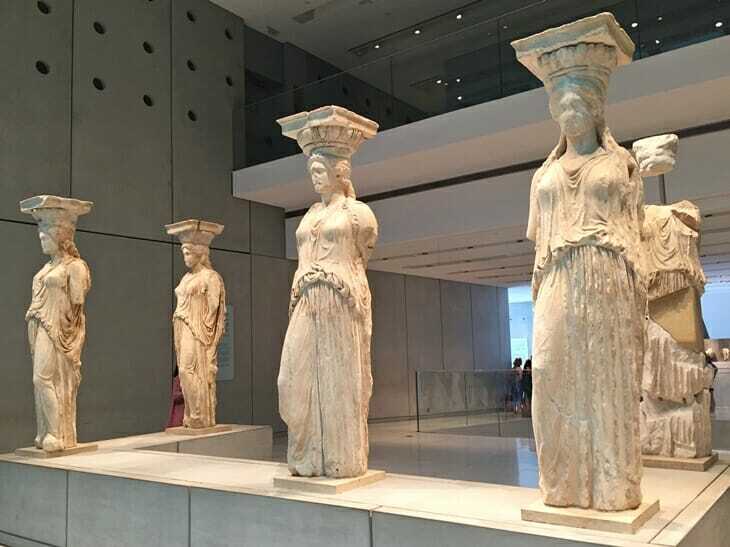 5 out of 6 of the original Caryatids are located in this museum – the ones at the Erechtheion are copies! 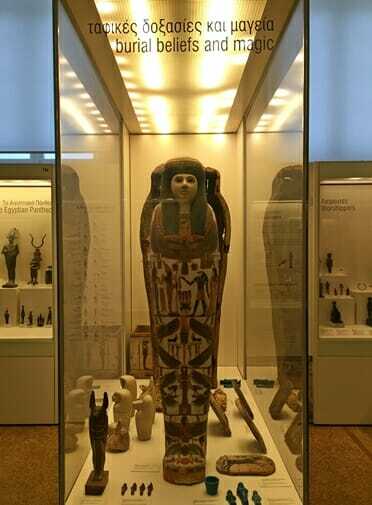 The 6th Caryatid is in the British Museum – there is an old legend that says that the 5 Caryatids can be heard wailing for their lost sister at night. Entrance to the museum is not covered by your unified Acropolis ticket. You will need to buy a separate ticket for €5. Give yourself at least an hour or two at this museum. The museum’s opening hours vary depending on the day of the week as well as season. It tends to open at 8/9 am and close early on Mondays (4/5 pm). This roadside structure was dedicated Roman Emperor Hadrian and was once thought to mark the divide between the old and new parts of the city. Because it is not behind a walled complex, there is no admission fee to see Hadrian’s Arch. Plus, it is on the way to the next complex! This picture perfect temple is also known as the Olympieio – it is dedicated to the ruler of the Olympian gods (and notorious philanderer), Zeus. It was once one of the most majestic temples in Greece but was destroyed over the years: today, it only has about one fifth of the number of columns it had during its heyday. The best part about this site is that unlike the Acropolis, it is not crawling with people! 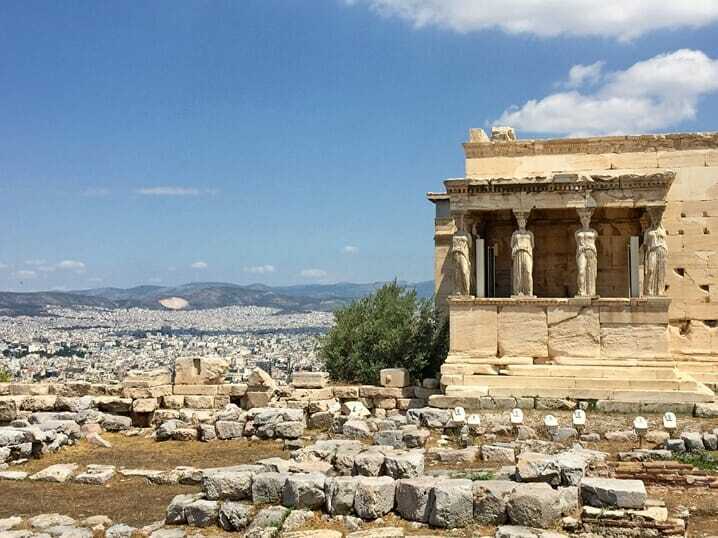 It is relatively easy to get a shot of the temple (with the Acropolis in the background) without a single person in the picture! Entrance to the museum is covered by your unified Acropolis ticket. The temple is open from 8 am to 6:30 pm, give yourself 30 minutes or so to soak up the magnificence of the Temple. The Ancient Agora was the commercial, political and religious centre of ancient Athens. The citizens of Athens would gather here and discuss politics, make and hear announcements, buy and sell goods, and just chill in general. The site is mostly rubble now (with the exception of the Temple of Hephaestus), but still worth a visit. The entrance to the Ancient Agora is a 5 minute walk away from Monastiraki Square, just follow the path to the right of the train station for a few hundred meters . The temple is open from 8/8:30 am to approximately 7 pm in the summer and much earlier in the winter. 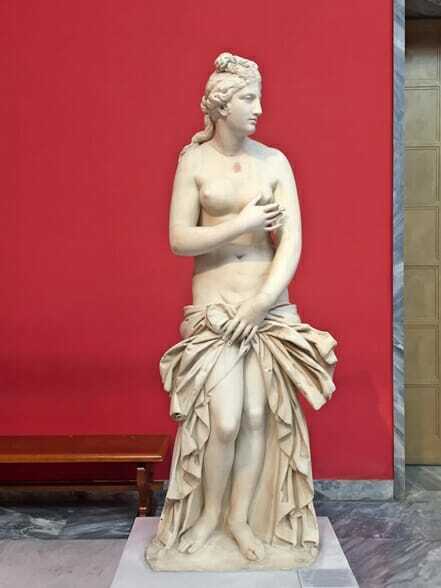 You know that guy Aphrodite cheated on? Yeah that was Hephaestus, the god of blacksmiths, fire, metallurgy and volcanoes (among others). It is said that he helped forge Zeus’ thunderbolt, armor for Achilles and even Pandora herself. 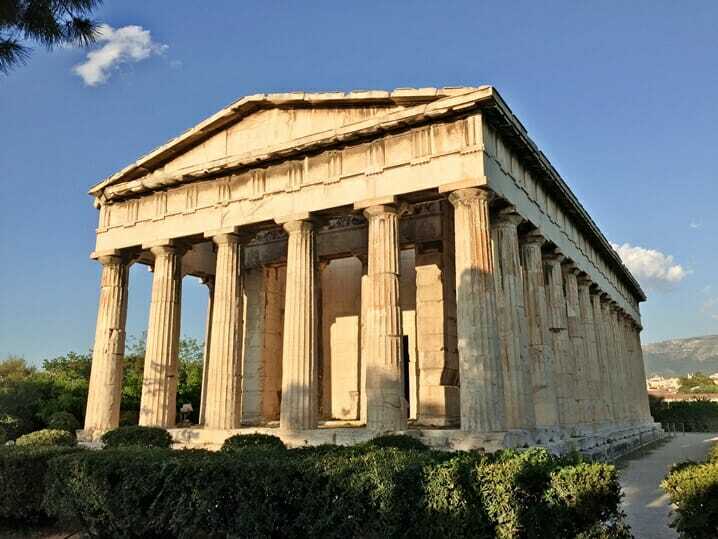 The Temple of Hephaestus is preserved extremely well and is located on a small hill at the Ancient Agora (which means entrance is covered by the unified Acropolis ticket). Like the Temple of Zeus, you don’t have to fight your way through crowds of people to get a good look at this stunning structure. Hell hath no fury like a scorned god – when Hephaestus found out that Aphrodite was cheating on him with Ares, the god of war, he built an unbreakable net and used it to catch them in the act mid-tryst. Hephaestus then invited the other gods to laugh at the naked goddess and god, both trapped under his net of shame! 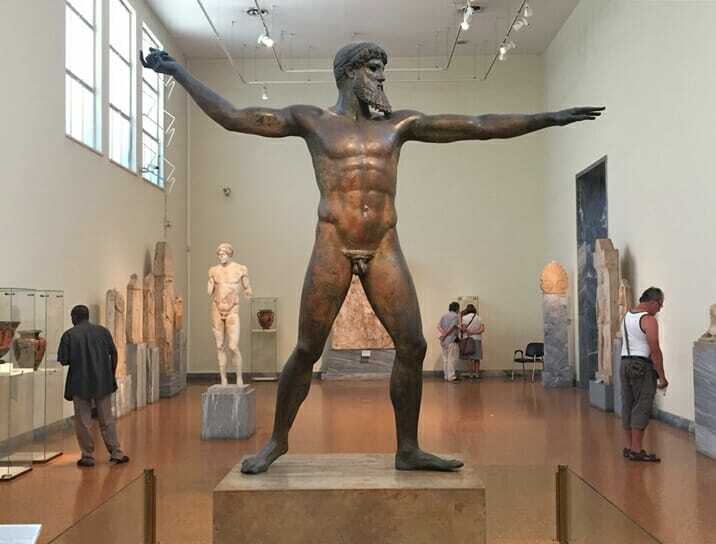 The National Archaeology Museum is the largest museum in Greece and considered one of the best in the world, so please I beg of you, don’t miss this museum. It’s an easy 20-30 minute walk away from Plaka/Monastiraki Square and is home to more than 11,000 exhibits. Entrance to the museum is not covered by your unified Acropolis ticket. The ticket is €7 and reduced during the winter months. Hours vary across different days of the week and seasons, so check this website for more information. This website isn’t called Yoga, Wine & Travel for nothing – A for Athens is also home to one of the best rooftop bars in the city! Their menu is chock full of unique cocktails and is the perfect view point to stare in awe at the sunset and changing colours. Enastron: If you want authentic Greek fare, head to Enastron. The hotel recommended this restaurant to us, and we ended up having 3 meals there. It is a 5 minute walk away from A for Athens and the food is incredible – try their delicious homemade sausage! Miso Pithari Monastiraki: This little hole-in-the-wall serves mouthwatering gyros just around the corner from A for Athens – head here for a cheap, cheerful and quick meal! 360: Athens has tons of amazing rooftop bars and restaurants, and this has to be one of the best in the city. 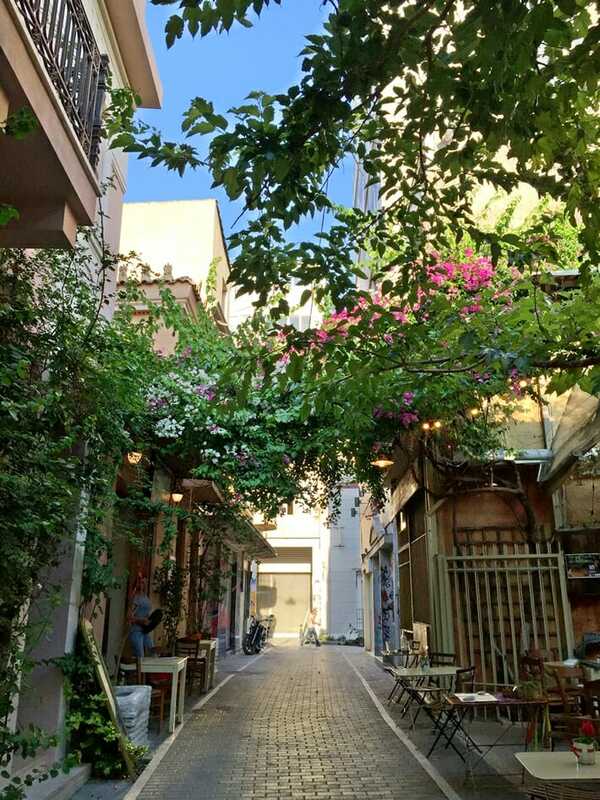 Also in Plaka/Monastiraki Square, 360 is the place to go if you want to treat yourself to something special while you’re in Athens. 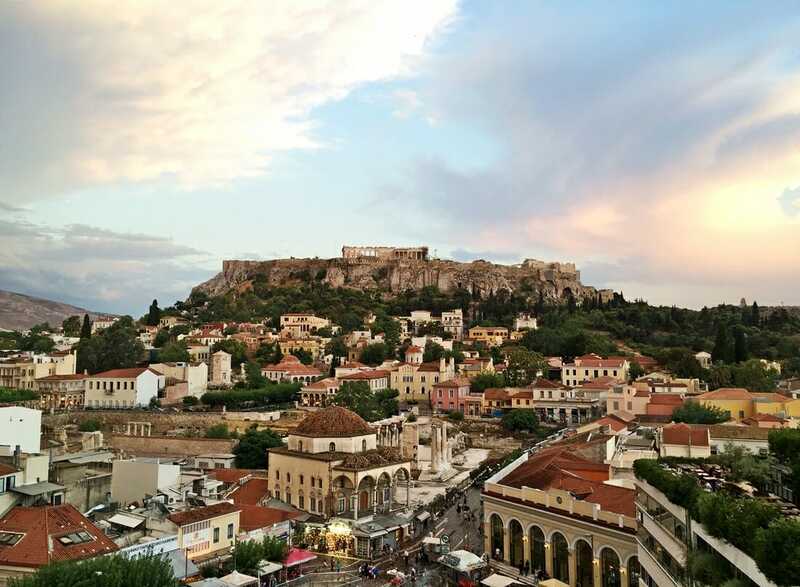 Like the rooftop bar at A for Athens, 360 also offers a view of the Acropolis from their massive open-air terrace. The food is outstanding and it’s the perfect way to spend your last night in the city. The restaurant is extremely popular, so make sure you book your table online ahead of time. Have you been to Athens yet? Am I missing anything from this list? Tell me all about it in the comments section! You weren’t joking, you really are the ultimate aficionado of Ancient Greece. For me it would take some supreme patience and dedication to visit ALL of these sites, but I’m sure for you you couldn’t get enough. I never knew the Acropolis had so many different functions depending on who was in control of the area at the time! Haha thanks Dave! I was GUNG HO on this trip because I was so determined to see everything! 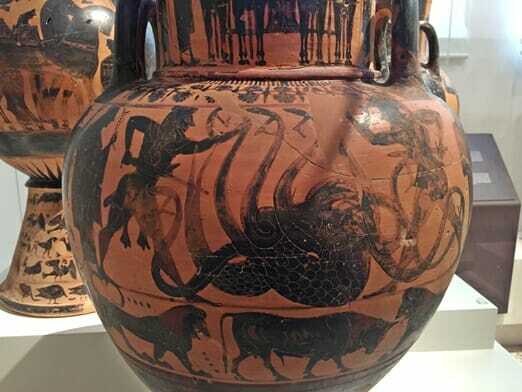 I love the detail in this post and the way you include everything from snapshots of the ancient myths to contemporary food and hotel recommendations! I’ve done a lot of island hopping in Greece but need to put Athens on my bucket list. Ooh which islands were your favorite? I’d love to explore more of the Cyclades next time! I’ve been to all theses places and agree they are all amazing. The views from A for Athens are probably the best in town ! I totally agree Sandy! It has a front-on view instead of side on – staring at the Acropolis while eating breakfast is amazing! Make sure you check out Delphi, Olympia and Meteora as well! Greece is one of my favorite places. I love that you are so into the history and mythology! I would have loved to listen to you ramble about it. Love the story of Athena and Poseidon fighting over the city. Such a great informative post! Thanks so much for checking this out, Cher! I am so fascinated with all the myths, the stories are incredible! That is a monumental mass of antiquity. I heard a suggestion recently that you should visit the museums first at these sites to give you better context for the archaeological site. What do you think? To be honest I think either order would be fine! The museums are amazing but they don’t always go into tons of detail about the history unless you hire the audio guide. Please please please go one day Karin! Would your husband be interested in the Greek islands? I’m so jealous! I’d love to live there for a few months – did you get a chance to head out to the Greek islands as well? Who doesn’t get geekily excited about Greek mythology?! That’s a great piece Flo and so much information! Heading to Athens later in the year so will definitely be using this. I definitely need to go to at Athens! The temples are so huge !! Thank you so much Cassandra! I’m having such a blast putting these together and reliving my trip! Thanks for all these tips, I will definitely be putting them to good use! Thanks so much for checking this out Brooklyn! Thanks for sharing which tickets cover specific sites. I also enjoyed the stories of the Greek Gods and Goddesses within your post. It really gives it a sense of meaning and understanding when you know those myths. I was sooooo confused when I was trying to figure it out before the trip, so hopefully these tips help a fellow traveler out! Thanks so much for this post. I am kind of a history nerd so seeing all these photos made me so happy. And since I have nwver visited Greece, I am gonna save this post for when I finally get there. And I hate crowds so hopefully I can get there in either spring or autumn. The crowds were bad, but it could have been much worse! The summer heat was what really got me. Hope you make it to Greece soon, Kelly! Athens is one of the reasons I’m dying to visit Greece and the archaeological sites are a big reason why I want to! One of my favorite ways to spend a day is exploring ancient sites so I’d love to visit most of these places. You’re going to love this place, Sky! I would really like to visit Acropolis in person – the view of the city from atop the hill is stunning! And thanks for including photography tips so I know where the secret spot is! There are so many great photo opps in Athens, Cat – you’ll love it! Haha it’s such a versatile building! You’ll have to explore the city one day Ivy! You were so lucky to catch these places almost empty! Even the Acropolis seems empty compared to when I was there… It was even hard to walk, never mind photograph! hehehe! This is an awesome guide! Thanks so much for checking this out, Renata! I had braced myself for TONS more people but it really wasn’t too bad! I love this post! These are exactly why I have been wanting to go to Greece for forever!! Make sure you check out the other Greece posts – Delphi, Meteora and Olympia are so amazing! Thank you for taking the time to read this! I really enjoyed putting the guide together and reliving some of the memories! 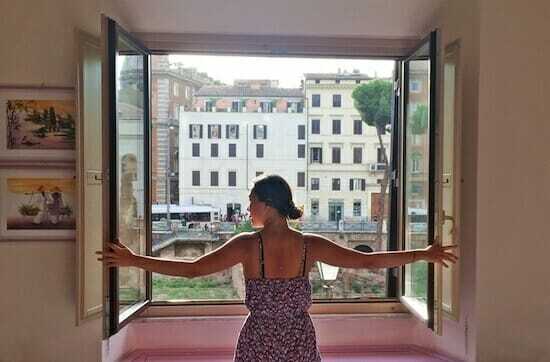 These ancient sites will just take your breath away, Vicky! Hope you make it there soon! This is such a great post I have enjoyed rading it! So elaborate. I have been to Athens but these photos made feel like I want to be there again right now! Thanks so much for checking this out, Marija! I really wish we had a few more days in Athens – such an amazing city! 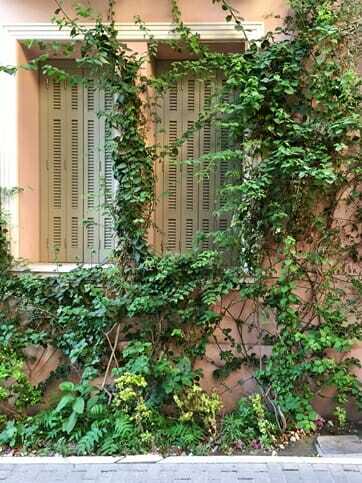 Athens… obviously really a very interesting mix of ancient greek culture and modern. A for Athens with its roofto bar sounds really great, I will remember this, once I visit this impressive city. 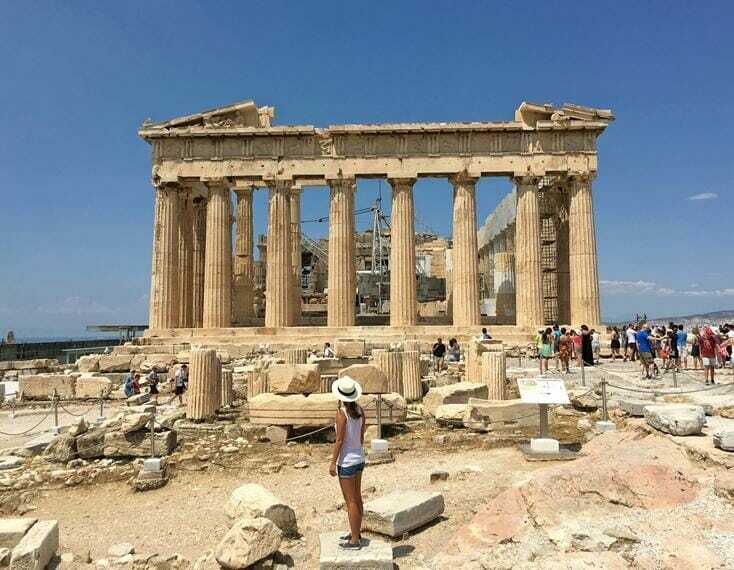 I absolutely love the Greek islands but have never been to mainland Greece, the Acropolis is something I’ve always wanted to see, and great tip for the time of year. The hotel looks to be in a great spot for exploring too, great guide! Which Greek island was your favorite? We made it to Santorini but would love to explore more of the Cyclades next time! Such a great and detailed post. You really have put together the perfect “must see” list for Athens. I want to go immediately. Thanks so much for checking this out, Reebex! I would love to visit Athens and see all these amazing sights and sites!! I would want to see all of them so this is a fantastic guide for when i do get the chance to go! I hope you make it to Athens soon, Tracy! I love destinations where you feel like wandering around an open air museum. When is the best momet to visit (weather and people wise)? Thanks so much for checking this out, Madhurima! Ooh great guide! I loved Greek myths when I was little (still do!) so I’d totally visit all of these places! Pinning for when I drag my husband to Athens – you’ve given some really helpful information on tickets and where to stay. I’ll also be telling the husband all the stories ha! Such a detailed guide! I think I might’ve mentioned before how I love visiting museums to learn about the ancient world… I love how you managed to get as little tourists as possible in your photos (especially at Acropolis!). I usually don’t buy special tickets because I don’t know what my plans are (worried it’ll go to waste). But it definitely looks like the entrance fees add up. Great that you included which sites are and aren’t included in the pass so I can make a more educated decision. Great post! I’ve never been to Athens but I’d love to! Also the streets look gorgeous and leafy! Magical! This post is perfect for me as I’m visiting Athens this fall and only knew about Acropolis. On the way up I’ll definitely stop at the Areopagus Rock for a panoramic of the city and I hope I get great weather like you did. 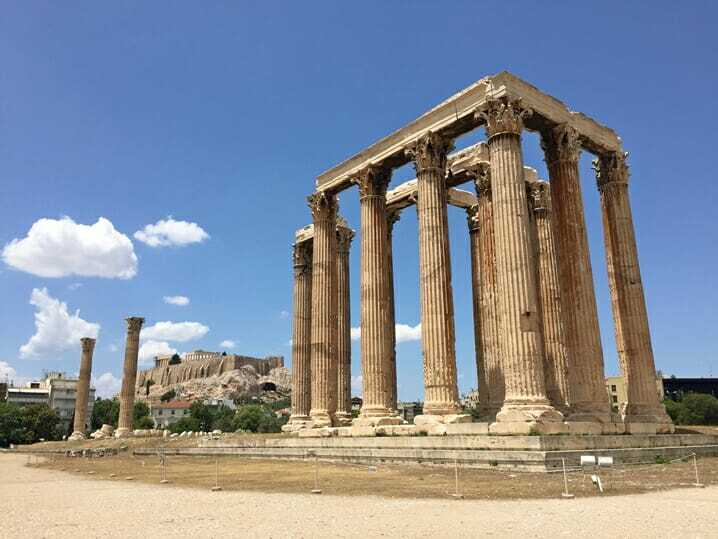 The Temple of Olympian Zeus is picture perfect and you captured it from the perfect angle! The Temple of Hephaestus looks perfect for photography too and I recognize all the Greek names you mentioned in the story too. I will check out the A for Athens hotel and bar too, it sounds perfect. Athens is on my bucket list, for sure! I love ruins and have always wanted to see the Acropolis. Love all the tips you’ve included in your post! Hi! There are super tips from my visit to Greece, thanks for sharing!